The way we tell stories hasn’t changed much throughout the ages. We follow certain patterns and plots that are consistently present throughout the history of storytelling, since the first stories were carved in stone. There are several fundamental and common narratives that always work, no matter if it’s fiction or brand storytelling. For example, one narrative could be about a quest where our protagonists— brands in this case— are challenged by obstacles which they are trying to overcome; another could be about fighting bad forces or monsters, or even about a transformation from ‘rags to riches.’ Sounds familiar, right? What has changed in recent years though, is the impact that content marketing and storytelling have at this very moment. New techniques together with social & mobile have definitely inspired a revolution in those areas. We have now a greater ability to consume content, roll it out through desired and various media, play with formats or even interact with it— shaping plots as we want them. As a result, everything has become much more engaging. Nevertheless, as the creators for the current mobile generations, brands should not forget the demand set by consumers and audiences. Now, the ‘archetypes’ of storytelling serve only as a compass to guide the development of content into the right direction. While these patterns are fully relatable to audiences (and because of their familiarity they strike emotions), the more demanding task is to shape and adjust them so they fit into audiences’ current behaviors and expectations. There are some brands that already do it right by building up meaningful relationships with audiences. They do this by creating and reaching out to them with personalized and engaging content that not only entertains, but also hits an emotional cord while exposing us to new and unexpected pieces of knowledge and understanding. New Karl Lagerfeld short story for Chanel – even one of the most recognizable fashion brands that has shaped the history of fashion is embracing this new form of reaching out to the audiences by producing a fairytale story about a bellhop and barmaid who turn into Emperor Franz Joseph I and Empress Elisabeth for the night. The couple is beautifully waltzing and singing to the familiar ‘CC the World’ song composed by Pharrell Williams, who also stars in the short movie with one of Lagerfeld’s muses, Cara Delevingne. 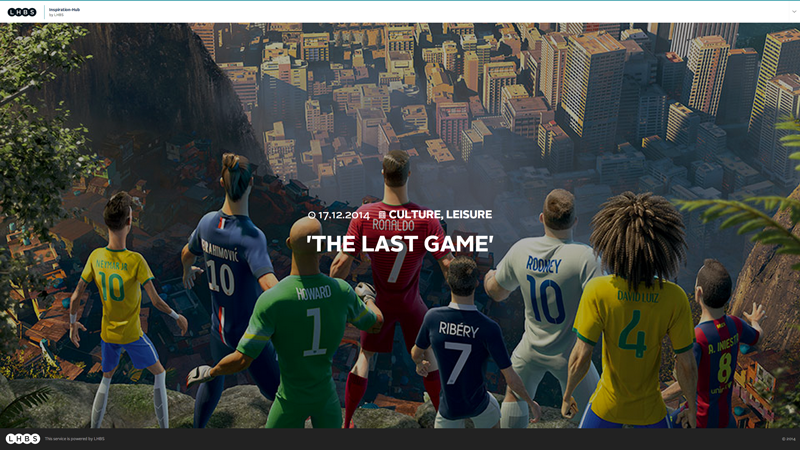 Another great example of this well-developed storytelling is the ‘Last Game’ animated campaign made by Nike, as it is extremely context-relevant and up-to-date (at the time of World Cup 2014). According to Adweek – it’s 2014’s second most-watched video (73.3 million views, being beaten only by another production by Nike: ‘Winner Stays’). As we mention in our ‘Meaningful Relationships’ study snippet ‘As you like it‘ published in this month’s LHBS Bulletin, audiences want to have everything their own way and rather ‘be in charge’ – to have a say in the content they are consuming. 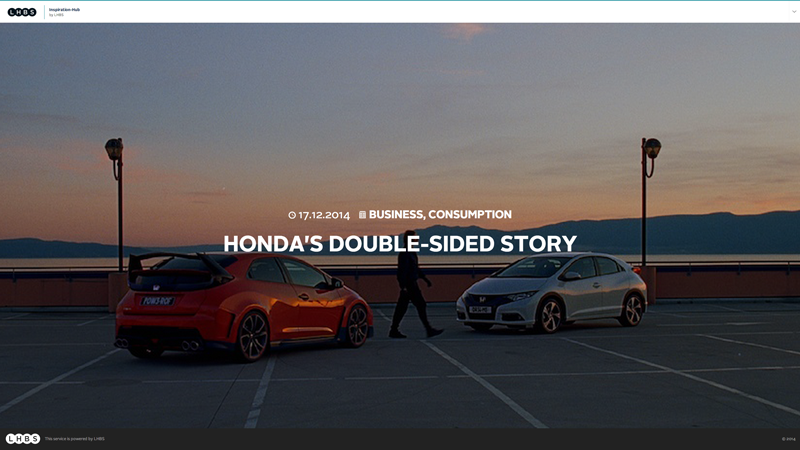 Many brands have already experimented with interactive content, but one of the best examples in recent weeks is the ‘Honda Double-Sided’ story. The YouTube video lets you steer the plot you want to see. Apart from the interactive elements, the whole plot is very engaging as well.